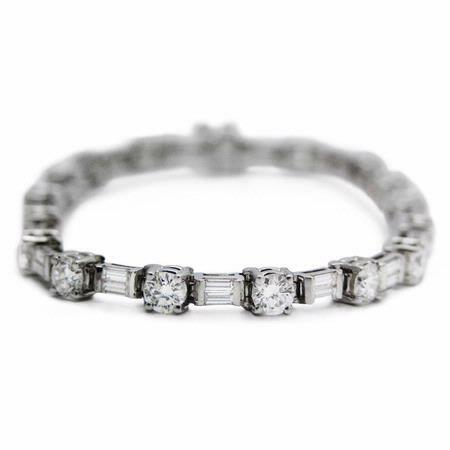 This beautiful 18k white gold tennis bracelet, contains baguette cut and round brilliant cut white diamonds, prong set, of F color, VS2 clarity, excellent cut and brilliance, weighing 7.15 carats. The bracelet is very flexible and features an open gallery. This is your chance to own a truly exquisite bracelet!